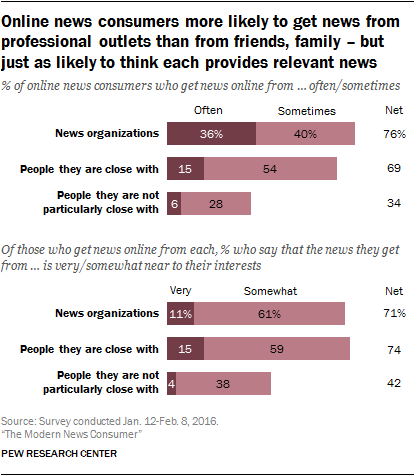 In 2016, Americans express a clear preference for getting their news on a screen – though which screen that is varies. TV remains the dominant screen, followed by digital. 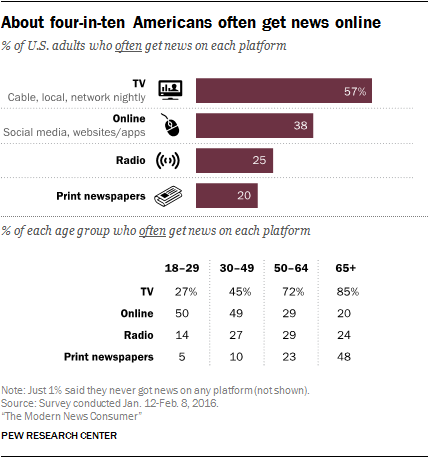 Still, TV news use is dramatically lower among younger adults, suggesting further shake-ups to come.